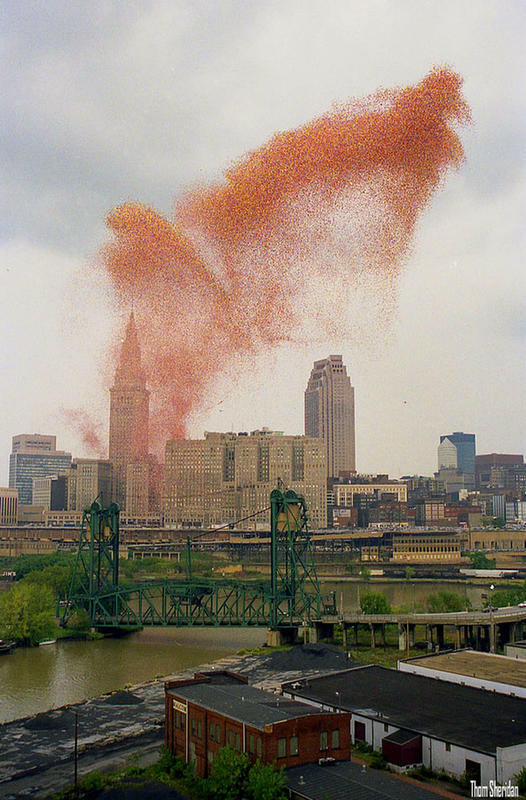 In 1986, organizers with United Way of Cleveland thought they'd generate a publicity stunt and create a beautiful spectacle in the process. 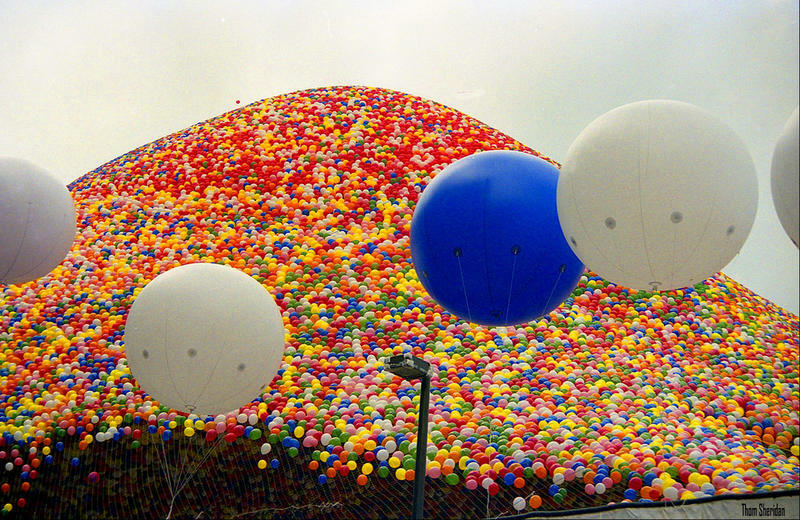 With a crowd of volunteers working all hours, they filled 1.5 million helium balloons. 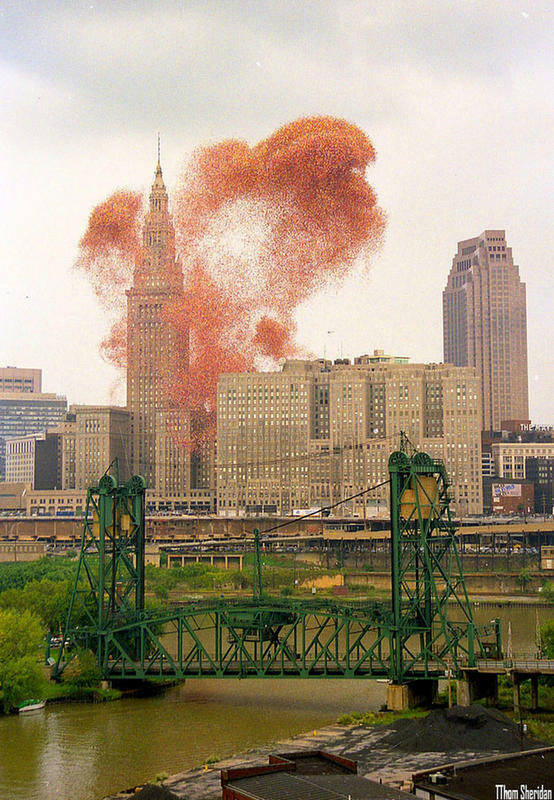 And so one early afternoon in September, 1986, Clevelanders stopped to watch as hundreds of thousands of balloons rose up and floated around Terminal Tower, the tallest skyscraper in the city. 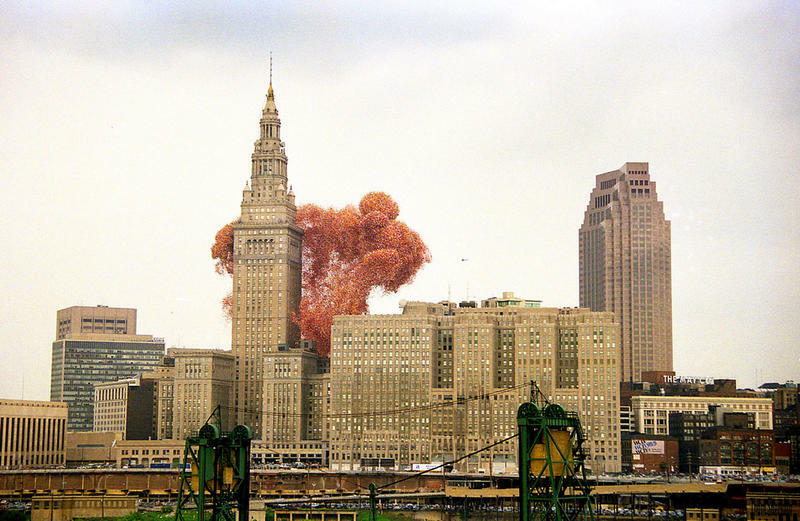 It was quite a spectacle until bad weather pushed the balloons back over the city, fouling traffic, grounding planes, and likely causing two deaths. 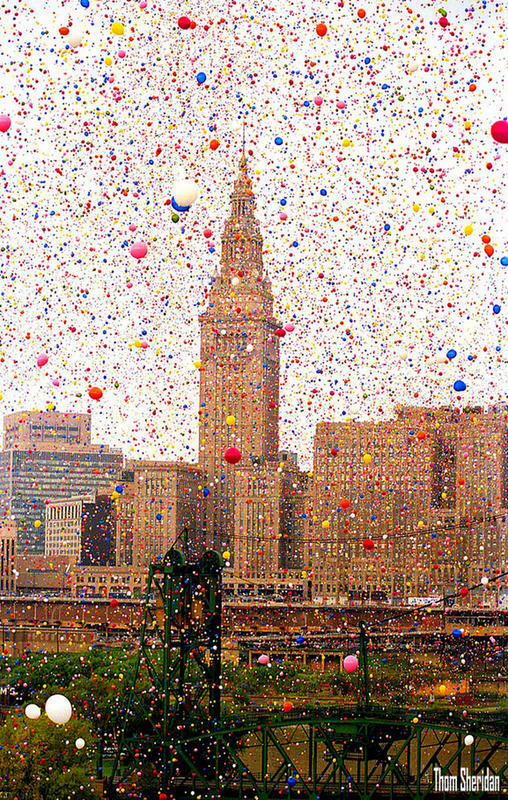 In 1986, the United Way attempted to break the world record for balloon launches, by releasing 1.5 million balloons all at once in downtown Cleveland, Ohio. Volunteers worked straight for hours filling balloons with helium under a giant net. 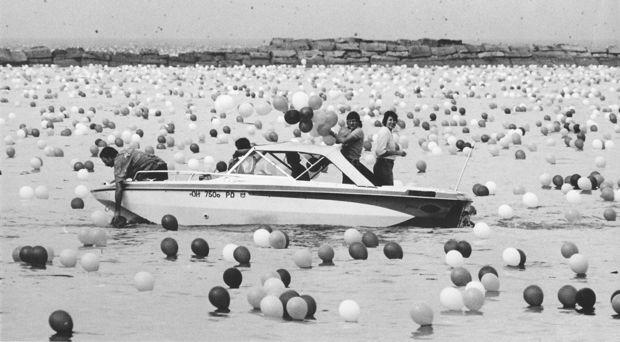 When the net was finally released, the balloons rose to the sky. The massive balloon cloud rose over the city, almost like an explosion of color. Unfortunately, the stunt was about to go terribly wrong. The weather that day was not cooperating -- storm was moving in from the Great Lakes. The winds pushed the balloons back down over the city. 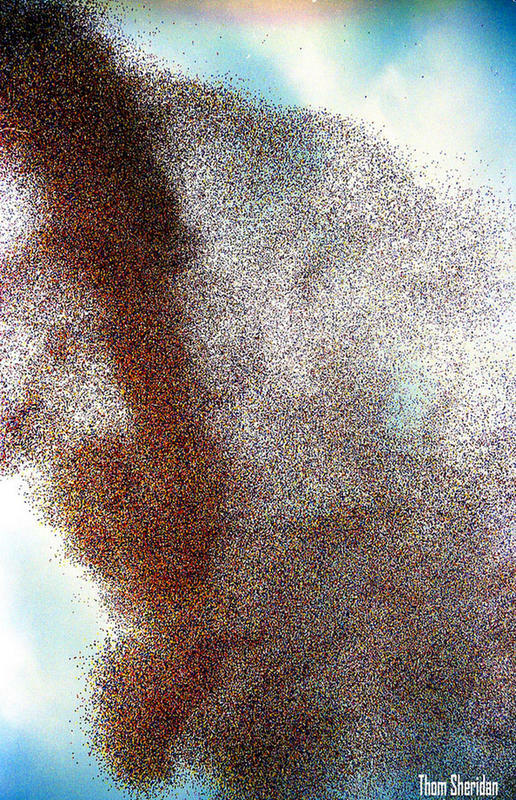 The sky of the city was filled with an impenetrable cloud of balloons. 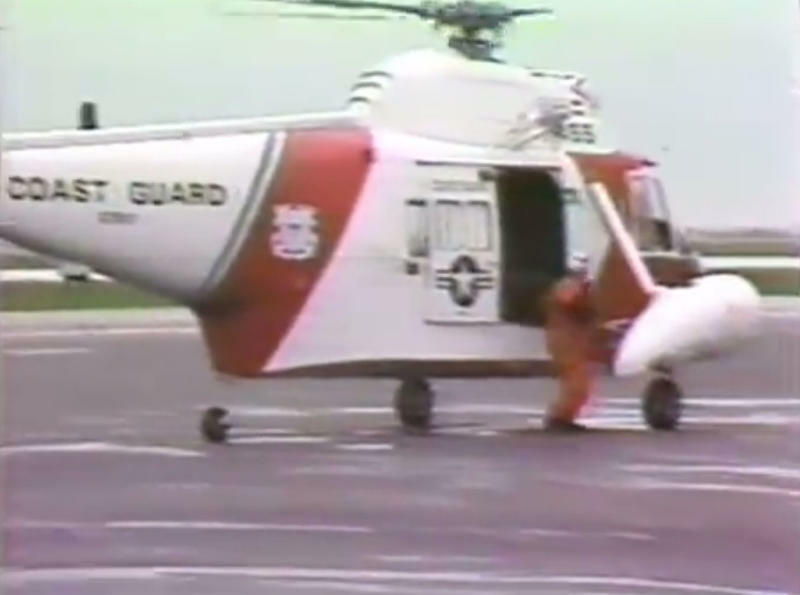 Tragically, two people died when rescue Coast Guard helicopters were unable to reach their overturned boat. 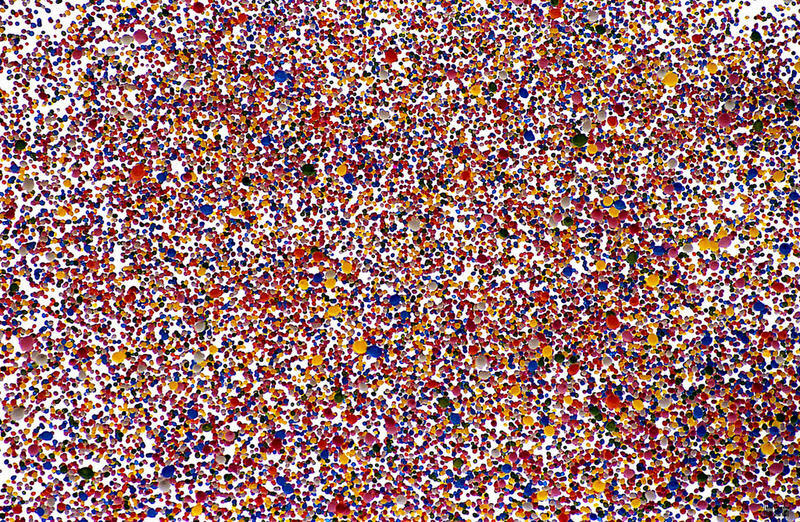 They simply couldn’t fly in the skies filled with 1.5 million balloons. The rescue team said they felt like they were flying through an asteroid field. When they finally got off the ground, they were searching for the heads of the drowning victims, but couldn’t tell the difference between them and the balloons that covered the surface of the water. 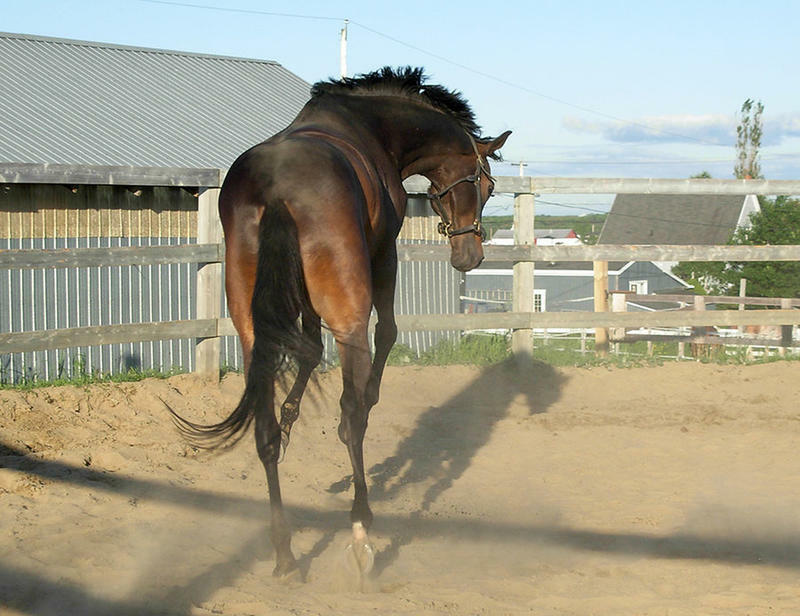 In one case, a woman’s horse was so spooked by the balloons, it seriously injured itself, and the owner sued for $100,000. The whole event was supposed to be a charity fundraiser, but ended up costing the city millions in lawsuits, and created cleanup headaches for weeks. 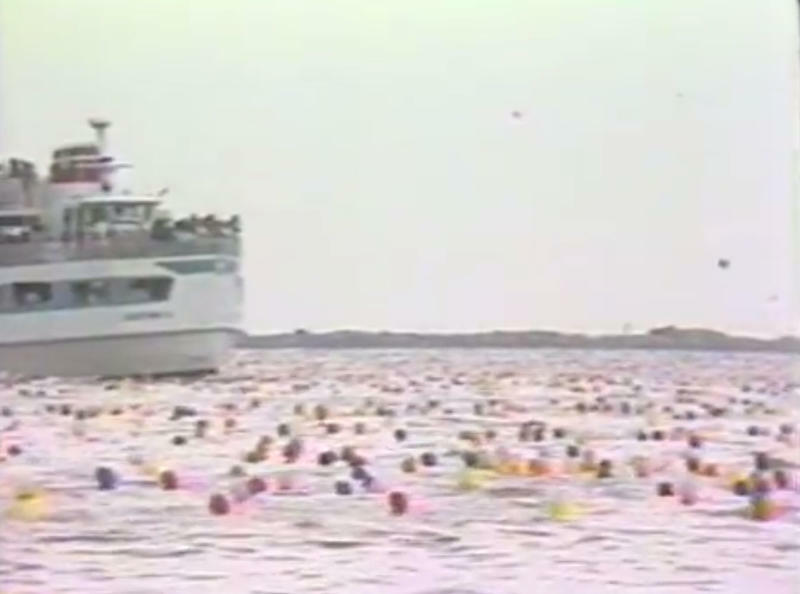 Here's a clip of TV news footage taken on the day of the Cleveland Balloon fest in 1986.